Romantic relationships are challenging. Initially, there never seems to be a balance of emotions; even if the balance is there, it may not be communicated fully, leaving one party feeling like the inferior half. Blue-eyed soul duo Mulherin know all too well the feelings of dissatisfaction that can come from a relationship that seems too good to be true. As twin brothers, Parker and Marshall Mulherin seem to be in sync with each other’s emotions as they put these feelings to paper in the form of an emotionally charged R&B ballad. For them, music is quite literally in their DNA. As is with the rest of their music, their new single, “Leagues” was both written and produced by the two of them. However, while their musical prowess seems almost superhuman, they too experience the very human feelings of insecurity that the rest of us know all too well. 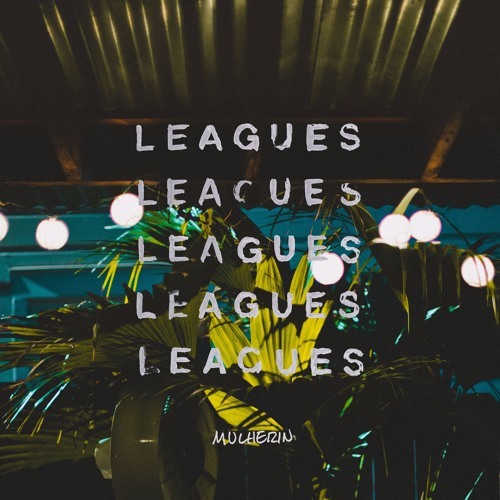 “Leagues” is a story of a beautifully doomed relationship. Of course it’s hard to imagine a relationship that seems perfect and flawless. When a relationship like this comes along, one can’t help but search for its flaws and conjure up worst-case scenarios in their mind. The duo sings sorrowfully of how their doubts transform into mistrust and ultimately turn into much more emotionally destructive feelings. The structure of the song parallels its purpose. As their disheartening feelings develop and grow, the production of the song escalates. Though seemingly effortless throughout, the harmonies and instrumentation become more and more longing as the song reaches its end. Mulherin certainly knows how to formulate a heartbreaking song in a way that takes a therapeutic role in their lives. Though the song is told in the past tense, giving it a sense of regretful retrospect, its gradual development still gives it a sense of urgency and ongoing turmoil. It is beautifully and thoughtfully crafted. While they may croon over and over, “Thought that you were out of my league,” one thing is for sure: The Mulherin brothers are surely in a league of their own.